I picked up a guitar for the first time about the age of eight. My dad had always played, so I kind of got the knack from him, but I believed it was something that was in my blood from day one. I got influenced by rock and folk at an early age, and just sort of translated that over to what I'm doing now. In high school I took jazz and classical lessons, in addition to playing percussion in the marching band. 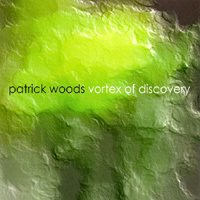 The name of the new album is called Vortex of Discovery. I called it that because I simplified things by really opening my playing up, and let everything just hang loose. 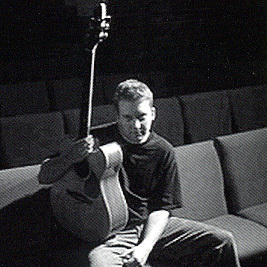 I felt like I was discovering the guitar all over again in a sense, and even though there was a period of five years between this album and my debut, most of the songs were written and recorded in just a few months. In fact, there were a couple that were written just two weeks before I recorded them, so it really was a fresh approach. I recorded and mastered the album in Cleveland, with my engineer Jay Bentoff. He set me up with a couple of Rodes condenser mics, using Cubase and that was it. No other musicians or anything. The entire disc is all me with no overdubs. I did about two to four takes of each song, and on most of them we just spliced together to create the perfect take. There are one or two tracks that I got all in one shot, and I love it when that happens, but most of them are combinations of different takes. Jay knows my style really well, so he knows how to edit my music almost to a tee. It was really amazing watching him do it like it was nothing. I have been using a Wechter acoustic Pathmaker (double cutaway) for about the past ten years now. 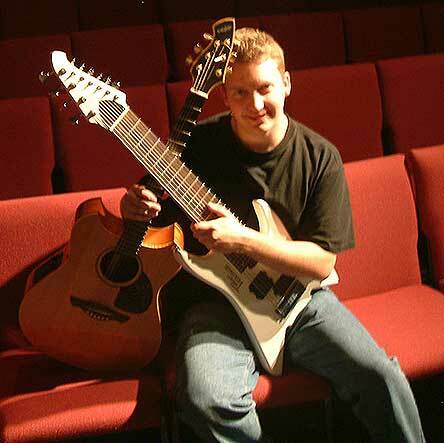 Abe Wechter is based out of Sweetwater Sound in Ft. Wayne, Indiana, about a half hour from where I live. I first bought one of his guitars through Elderly instruments in Michigan, and just fell in love with the thing. I have not wanted another guitar since. It's about 22 frets to the neck, has a spruce top, and mahogany back and sides. I also use Sperzle tuning keys, and just recently installed the b-band pickup system which sounds crazy good! For effects, I simply use a TC Electronics chorus/flange along with an Alesis Nanoverb. I am currently using Mackie 450s for my live sound. The first finger style player to really open me up to the world of acoustic music, was the late great Michael Hedges. To acoustic players around the world- he needs no introduction. A friend of mine let me borrow Arial Boundaries when I was a senior in high school. I was blown away, but I still was a rock player at that point. I just heard it and thought, I could never do that. But then I heard another great acoustic virtuoso - Preston Reed. He was actually making his music sound like drumming in a rock band - all on one guitar! That really appealed to me, because I was a rock player. He sort of filled the gap, where Hedges couldn't, because although I loved Hedges, I couldn't quite grasp what he was doing enough to try it myself. But for some reason when I heard Preston Reed play, it was like a light went on. I just went, cool, I've got to do something with that. Those guys are my two main influences for acoustic but I have major rock influences too. Joe Satriani is my all time favorite. The first time I heard Surfing With The Alien it transported me to another planet. Ever since then I have made melody the number one thing I strive for in my music. Alex Lifeson of Rush is probably my second all time favorite for rock. There is simply no one that sounds like him, and he creates textures and creates places in my mind whenever I listen to Rush. Right now I have booked some gigs and will be getting back on the road. But I am also writing new material already, so I would say the next project will be out within another year or two.